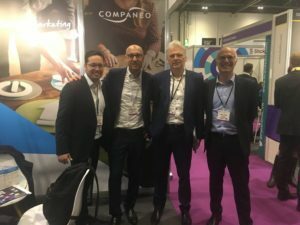 Last March, Companeo participated in the 2017 B2B Marketing Expo that took place at the ExCel exhibition center in London. This was our first ever exhibition at this huge B2B marketing event, which is known as the number one platform for professional marketers that seek the latest trends and innovative techniques to boost B2B business and generate more leads. Being Europe’s biggest B2B lead generation company, Companeo couldn’t miss this great event every B2B marketer worth of the name has to attend, which focuses on lead generation and other techniques that boost digital marketing strategies. Right after attending the Las Vegas LeadsCon a few days before, Companeo’s management team was ready to share its internationally recognised knowledge in leadgen strategy. • SoloSmart, our emailing, lead nurturing and marketing automation range of solutions, that helps B2B companies find and reach the right leads, at the right time, and at best ROI. During those two exciting days, we really enjoyed meeting our fellow exhibitors, as well as all the visitors, partners and customers that took part in the event. Lead Generation is one of the most strategic activities within B2B marketing, and new technologies and tools are making it all the more interesting. 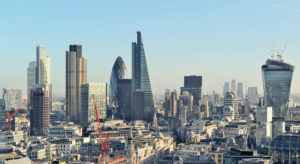 Missed the B2B Marketing Expo this year? Don’t worry: we are planning on exhibiting again next year, and introduce professionals to more innovative techniques to achieve their company’s B2B lead generation goals. In the meantime, if you are interested in generating new business opportunities thanks to our lead generation services, we’d love to chat with you about your company’s needs. Discover what Companeo can do for your business, by booking your free consultation today.